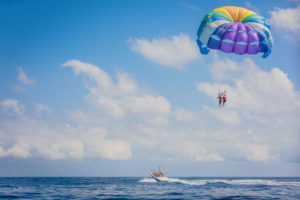 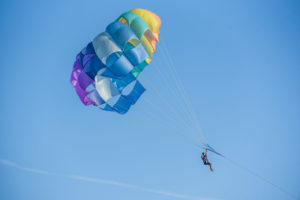 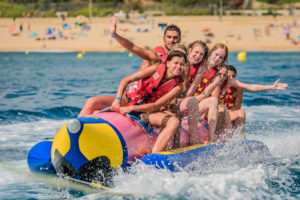 The Water Sports Center started in 2006 with the lead of Oscar Batey, who has started the company with 10 years of experience. 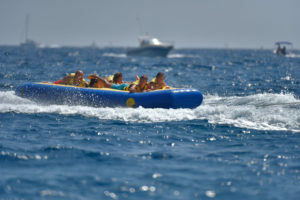 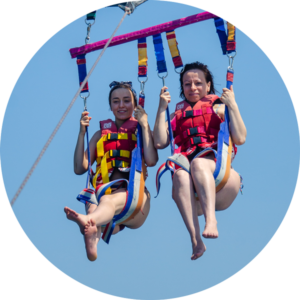 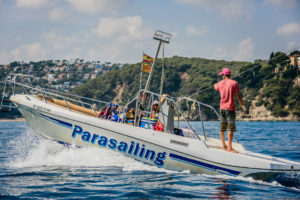 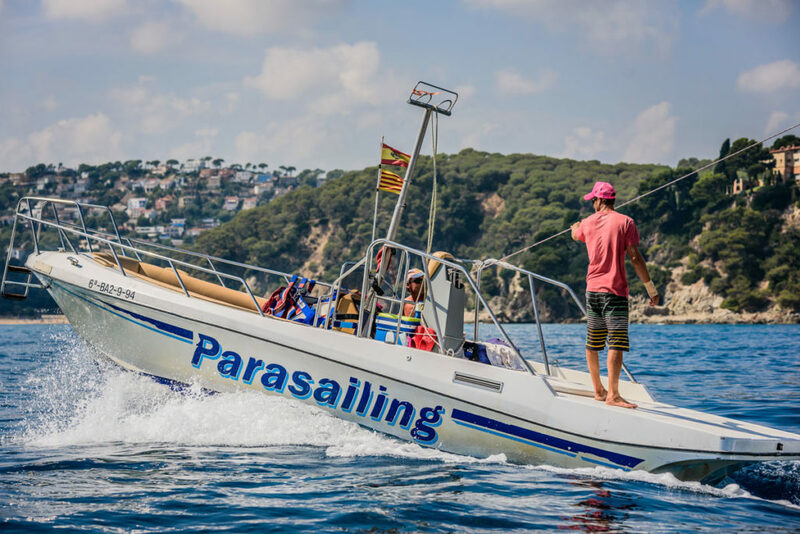 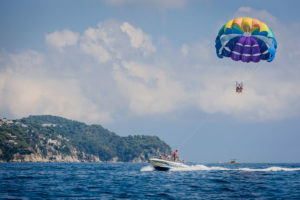 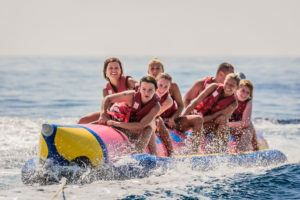 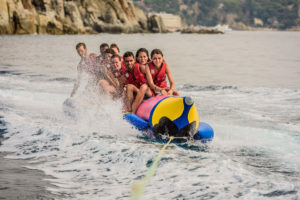 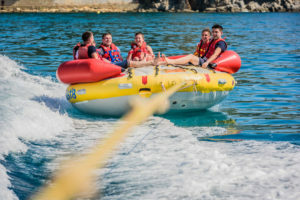 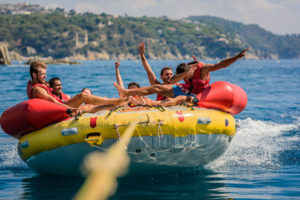 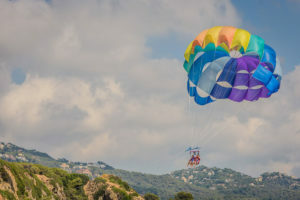 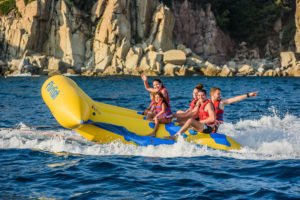 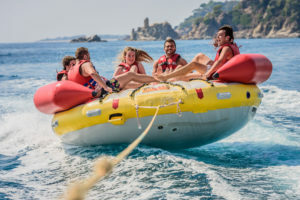 The Water Sports Center offers services to nautical activities at the Fenals beach in Lloret de Mar, one of the cleanest and quietest beaches of Lloret de Mar. 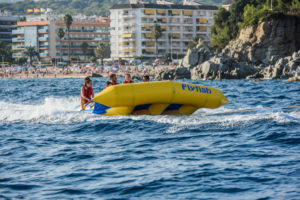 Fenals Beach has a rating of ‘Blue Flag’ for the quality of its waters and services, making this beach the ideal place for water sports in a fantastic environment. 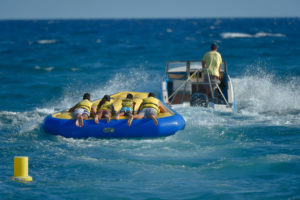 The Water Sports opens from mid-May to late September, daily from 10 am to 18 pm. 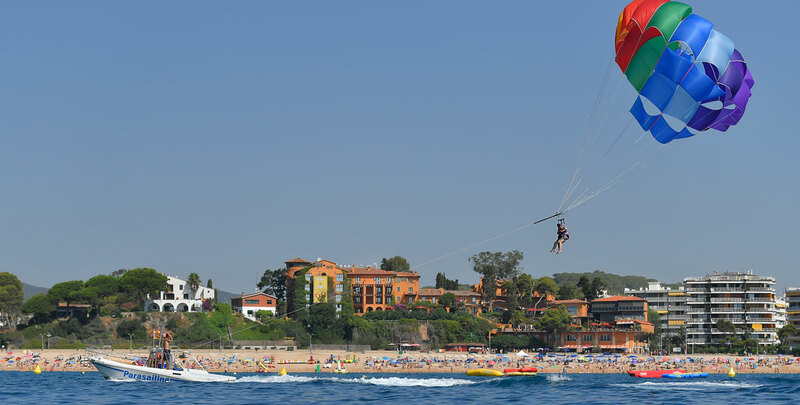 Making the Fenals Beach the perfect environment to enjoy your day with your family or friends. 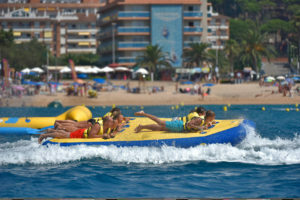 The 'Blue Flag' rating of the Fenals Beach is due to the quality of its waters and services. 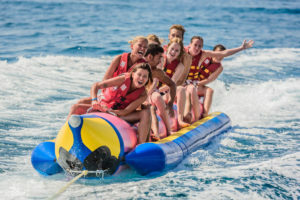 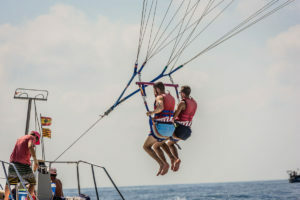 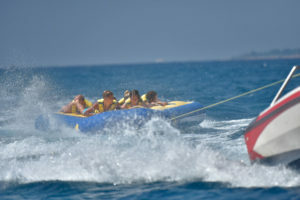 The Water Sports Team has more than 20 years experience in making people enjoy their holidays. 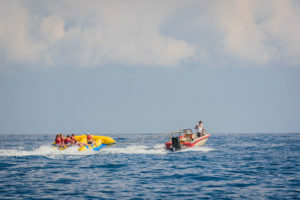 This towing modality is maybe the most exciting and spectacular one. 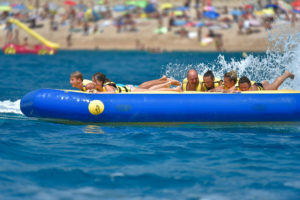 It is like riding a wild horse over the water. 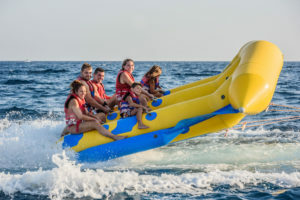 The specific design of this kind of device causes that the boat’s speed added to the wind force and the waves it comes out of the water making big jumps, like a flying fish, which gives him the name…. 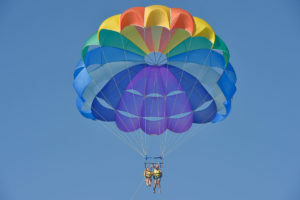 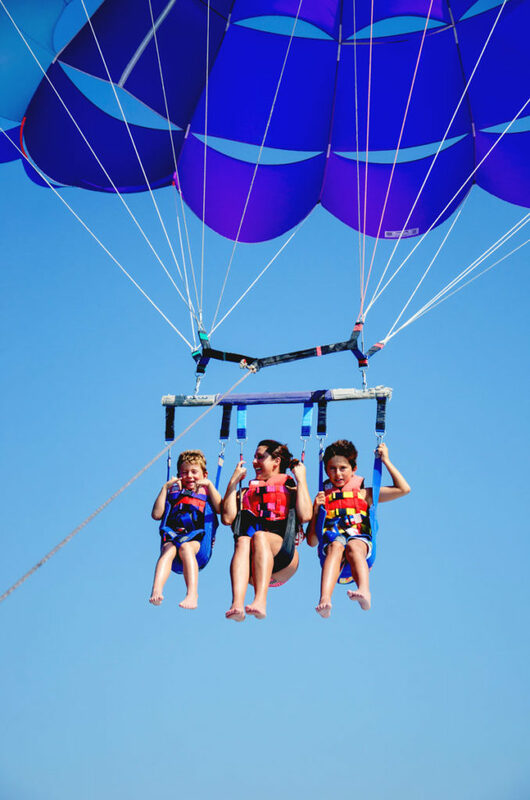 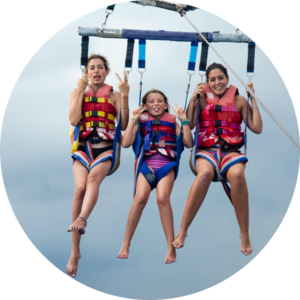 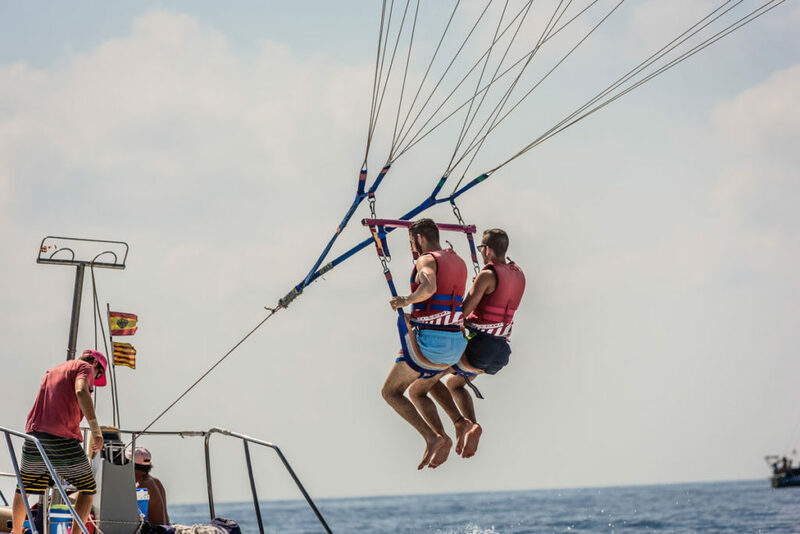 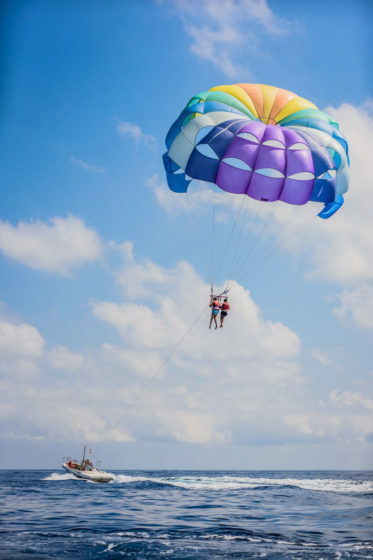 Discharge the adrenalin with an exciting activity you can share with your friends and you will never forget! 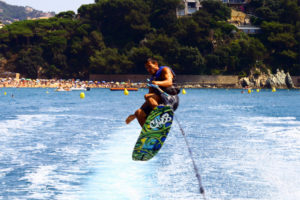 Type drag exciting, effective centrifugal jumps and bounces over the waves or the wake. 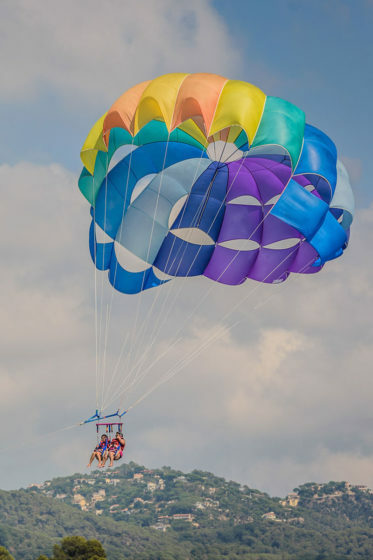 For small groups, Crazy UFO is one of the latest methods and very safe, do not forget to try this method and have something interesting to tell your friends. 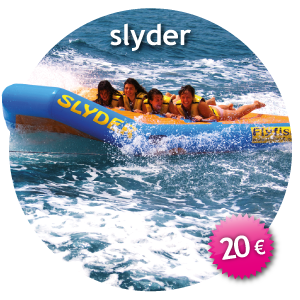 The ‘Slyder’ is a nautic towing modality for those who love speed and are looking for new sensations. 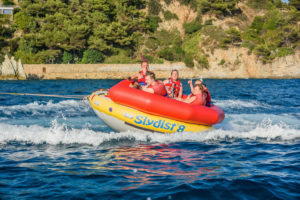 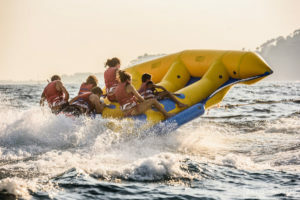 Its hydrodynamic design makes it literally slide over the water and when the boat takes a turn the Slyder gets out of the wake and slides over brave water. 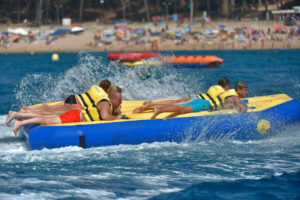 The right position that the “Slyders” have to take, lying flat on the stomach, apart from being safe it also transmits all sensations of speed and sliding over the water. 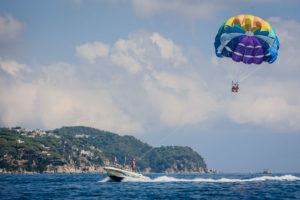 Both on a quiet sea as well as with waves, emotion and discharge of adrenalin are assured. 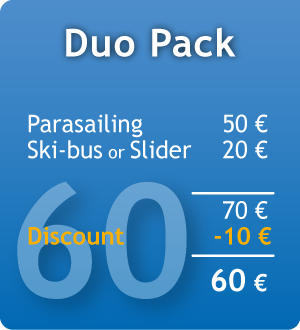 The Ski-bus was the first of towing modalities for groups to be invented. 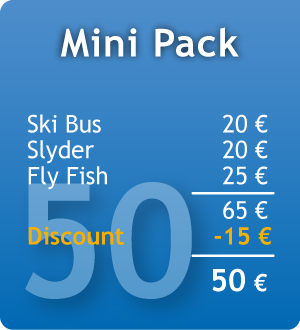 However, it has resisted the flow of time and still is very popular among our clients. 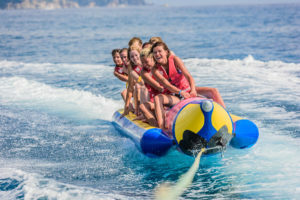 Riding the waves with your friends and companions becomes an unforgettable experience trying no to turn over …. 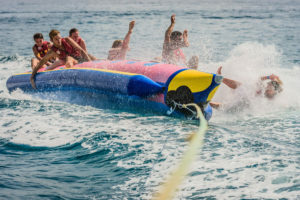 a real challenge! 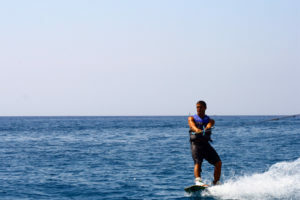 However the bay of Fenals beach not always disposes of tranquil waters (lying open to the seawinds) we offer water-skiing for experts and beginners. 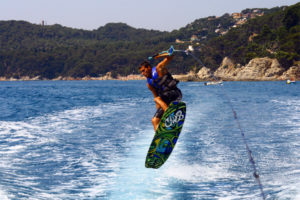 In both cases we do recommend take advantage of the best condtions for water-skiing in the “early” mornings. 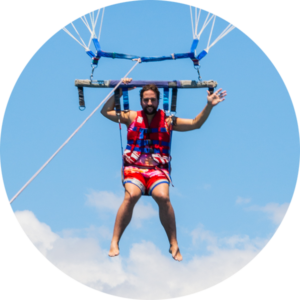 Come and see us, make and appointment and… go for it!